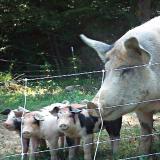 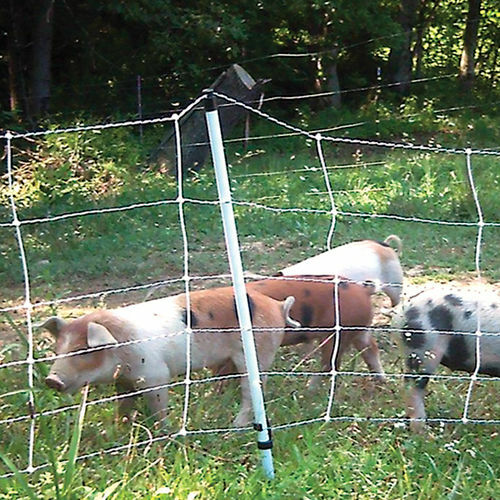 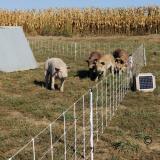 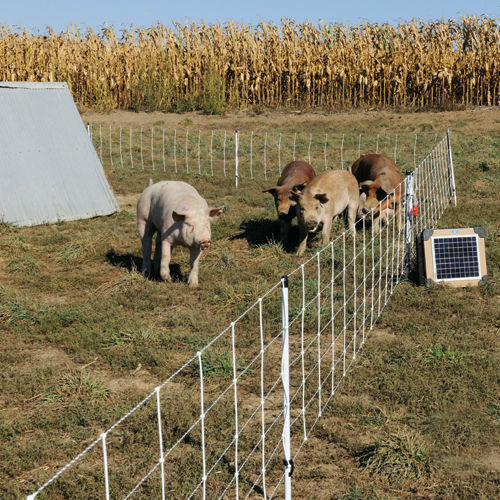 A portable 30" tall electric perimeter or subdivision fence for pastured pigs. 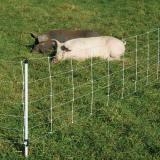 It's easier to install and remove than multiple strands of electric wire on posts and far more effective and reliable. 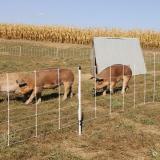 Much easier to handle than heavy welded wire panels and T posts. The bottom strand is 6 in. 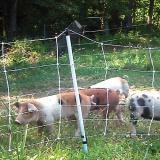 above the ground to prevent domestic pigs from rooting soil onto the fence and shorting it out. 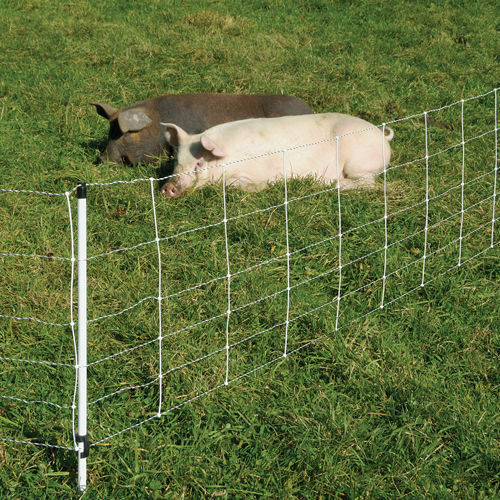 Users can slide the lower strand up if desired. 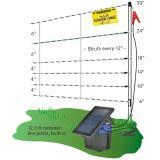 High conductivity (only 33 ohms of resistance/1000 ft) ensures a strong, uniform pulse from end to end. 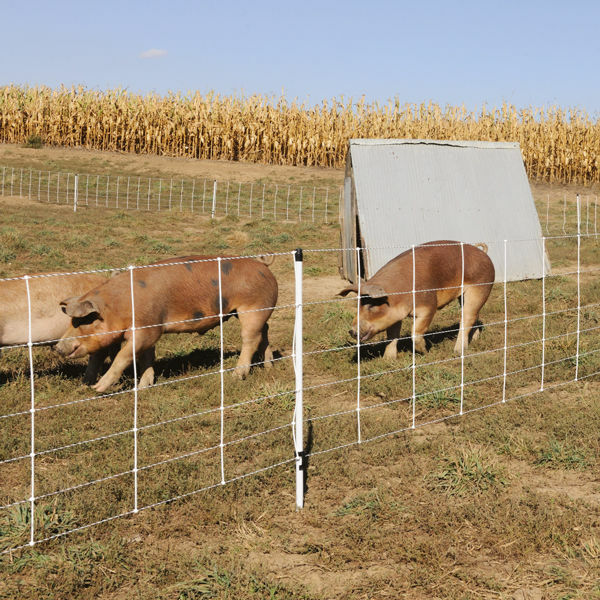 Replaces welded wire panels, which are heavy, not easy to move and more expensive per ft.
Post Diameter 0.75" 0.51" 0.51"
Spike Length/Diameter 8"/0.31" 6"/0.26" 6"/0.26"